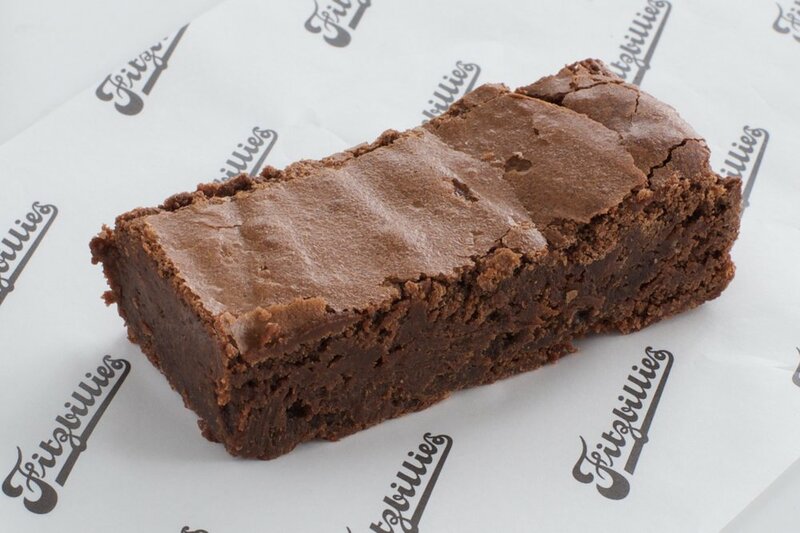 Handmade in our Cambridge Bakery they are firm favourites in Fitzbillies café’s. Made with dark chocolate with 70% cocoa solids. Moist clementine sponge dotted with plump cranberries. Made without gluten containing ingredients. Chocolate tiffin cake to Prince William’s childhood favourite recipe.